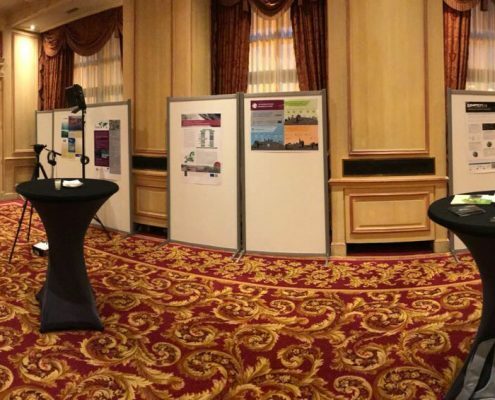 The Raw Materials Week, a recent European event dealing with the challenges, problems and solutions on the raw materials sector, took place from the 6th to the 10th of November in Brussels. 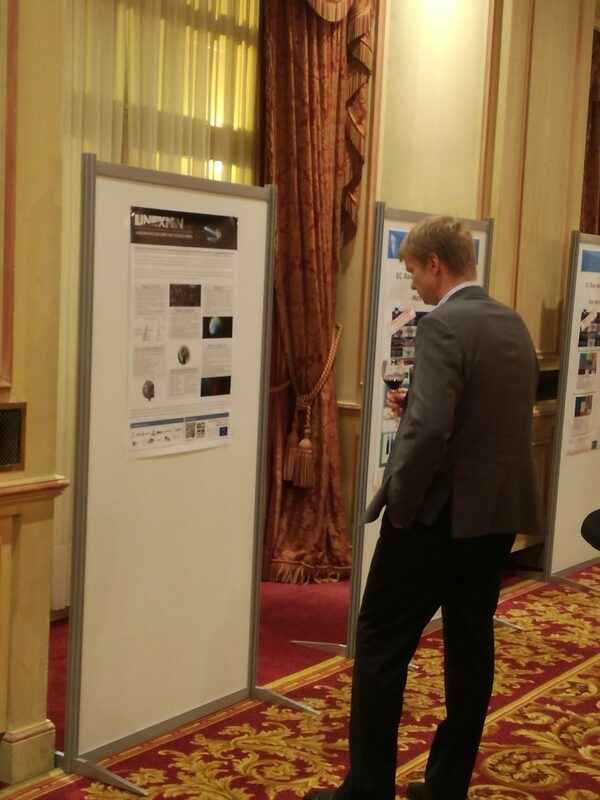 The UNEXMIN project was represented on this European event through the organized poster session. 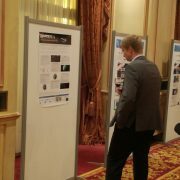 This specific poster session had a collection of projects running through all Europe, including many Horizon2020 projects. The common denominator of the presented projects are the challenges faced in the raw materials sector and what each project is doing to solve the issue. 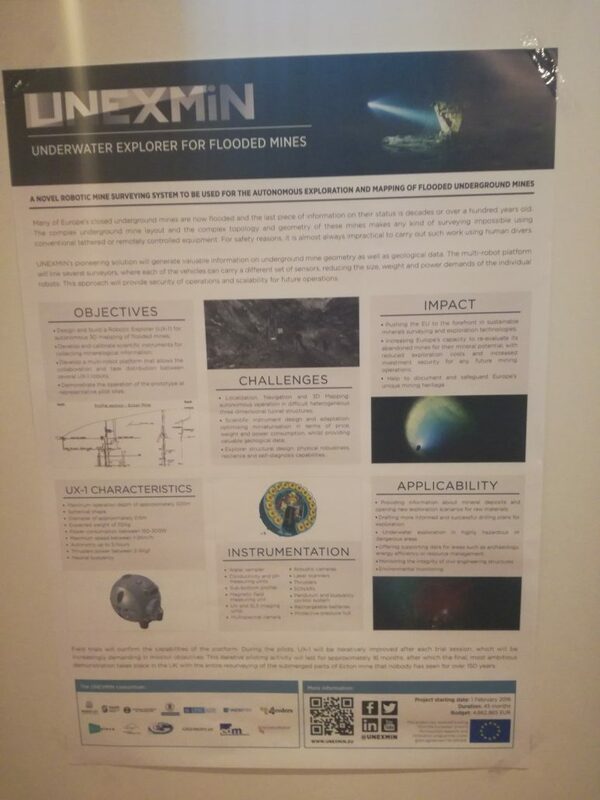 UNEXMIN is contributing to deal with the raw materials bottlenecks (for example, the European dependence on the import of many mineral raw materials) by developing a robotic solution that can explore and map flooded mines, helping to gather new information on the raw materials availability throughtout Europe. The first robotic prototype, UX-1, is being completed and the first field tests with the UNEXMIN developed technology will happen by mid-2018. 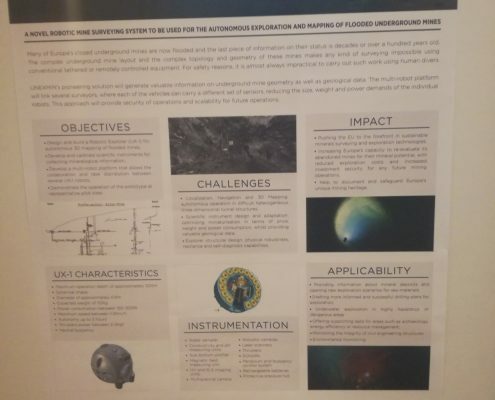 In the next Raw Materials Week there will be something much more substancial to show from the UNEXMIN project… including a real, working robot!